We use investor sentiment as contrarian indicators on market direction since investors are usually wrong. During the past week the indicators were showing increasing investor optimism for the near term and the intermediate term. And that’s a warning signal for smart investors to watch out. Short term sentiment indicators have now started to issue negative warning signals as investor complacency grows. 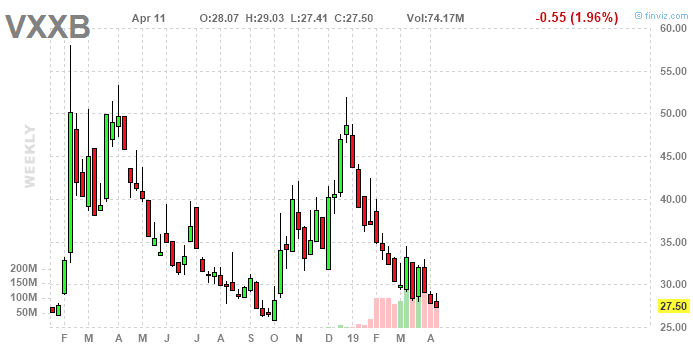 The VXXB is now at a two-year low showing no sign that the market place is expecting future volatility. The CNN Fear Greed Index is trending higher in the greedy zone at 68. Intermediate term sentiment has also moved to the negative side as contrarian indicators. The Smart Money/Dumb Money confidence gauge has moved to multi year lows showing that most of the marketplace is now getting bullish. The Investors Intelligence Bulls/Bears poll of stock market newsletter writers shows bulls at 54% bulls and 19% bears. This makes the spread positive 35% which is optimistic and a negative. Plus 40% is a red alert warning sign, and we have been grinding our way toward that.